If you're on a diet to lose weight and you know ahead of time what you're going to eat, then you're already on the road to success. A 10-day meal plan can help with grocery shopping and meal prep. While weight-loss calories vary, a 1,500-calorie meal plan is appropriate for active women and most men. If you're losing too quickly -- more than 2 pounds a week -- add 100 calories to 200 calories to your meal plan, and if you're not losing, subtract 100 calories to 200 calories from your meal plan. Plan to eat three meals containing about the same amount of calories -- 450 calories each -- plus one snack with 150 calories. Having three or four breakfast meals to choose from on your 10-day meal plan keeps it simple, prevents boredom and allows you to mix and match. 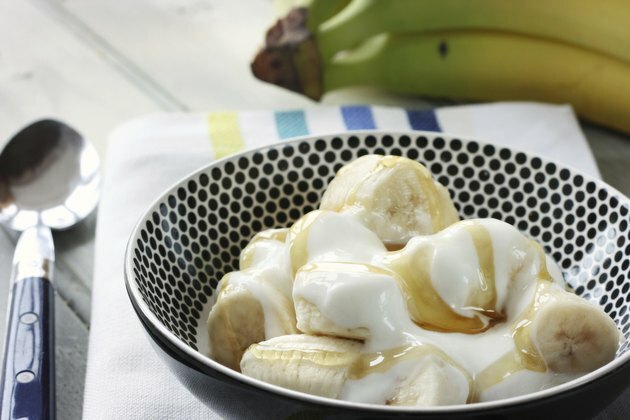 Make a quick and healthy breakfast with 1 1/2 cups of unsweetened whole-grain cold cereal with 1 cup of nonfat milk, a large banana and one container of sugar-free nonfat yogurt. On another morning, you might enjoy a toasted whole-wheat English muffin topped with one scrambled egg and 1-ounce of low-fat cheese with a pear. When you're short on time, a smoothie made with 1 1/2 cups of strawberries, a small banana, one large kiwi, 1 tablespoon of peanut butter and 1 cup of nonfat milk blended with ice, and served with half a small whole-wheat bagel makes a good option. For those leisurely mornings, two whole-grain waffles topped with 1 cup of sliced strawberries and one small sliced banana with 1 cup of nonfat fat milk makes a healthy and delicious breakfast. For balance, include fruits, veggies, grains and lean proteins at each lunch meal. Two cups of mixed greens topped with 1/2 cup of kidney beans, six almonds and 2 tablespoons of low-fat salad dressing, served with 2 cups of chicken noodle soup and a clementine is filling and balanced. For another healthy lunch, toast two 6-inch whole-wheat tortillas and cut into quarters and serve with 1/2 cup of hummus, 1 cup of carrot sticks and a small apple. On another day, try a turkey sandwich with 3 ounces of deli turkey on two slices of whole-grain rye bread with red onions, lettuce and tomatoes, served with 35 grapes and 1 cup of mixed greens with 2 tablespoons of low-fat dressing. Like lunch, create balanced meals at dinner by including foods from most food groups. Four ounces of broiled salmon with 1 cup of cooked bulgur and 1 cup of steamed carrots makes a nutrient-rich dinner meal. Another healthy dinner for your meal plan includes 1 cup of beef chili with beans, a 2-ounce whole-grain roll and 1/2 cup of steamed broccoli. Three ounces of roasted chicken breast with 1 1/2 cups of roasted red potatoes and 1 cup of green beans sauteed with garlic and 1 teaspoon of olive oil is a simple and classic meal. For a meatless meal, consider 1/2 cup of pureed black beans in a 6-inch whole-wheat tortilla with 1/2 cup of salsa, served with 1/2 cup of brown rice and 1 cup of peppers and onions sauteed in 1 teaspoon of olive oil. Snacks not only help control hunger on your diet plan, but also supply essential vitamins and minerals. Healthy snack options for your 10-day diet plan might include 3 cups of air-popped popcorn with 1 cup of nonfat milk; five whole-grain crackers with 1 ounce of low-fat cheese; a container of nonfat sugar-free yogurt with a small nectarine; or 2 cups of mixed greens with 1/4 cup of raisins and 2 tablespoons of low-fat salad dressing.